Life – but not as you knew it: Laughter as medicine! Got a case of the January blahs? Here at Shine, we’ve been looking at ways that we can beat the dark, grey days and bring a bit of happiness into our lives, regardless of the challenges 2015 might bring. 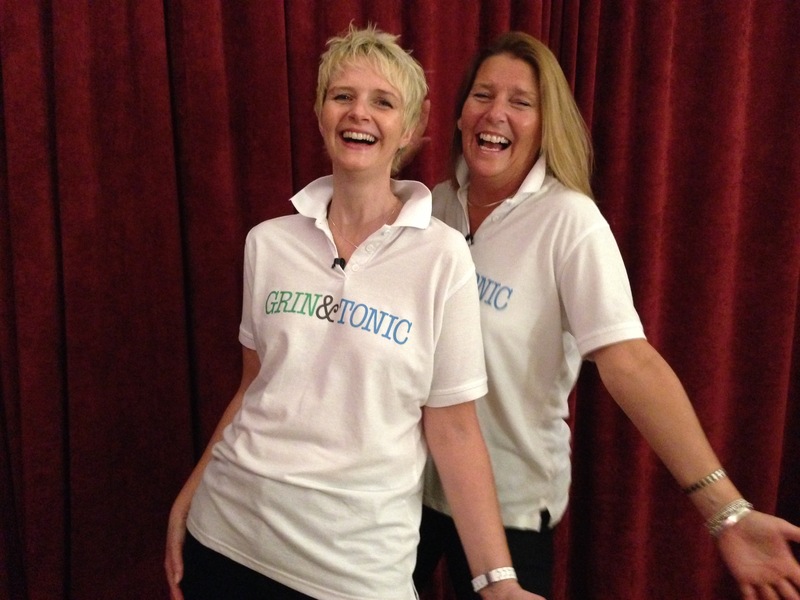 Luckily for us, we found Mandy Riches of Grin and Tonic which uses Laughtercise (yes, you read that correctly!) to promote physical and psychological health. Mandy understands cancer because she’s been there: diagnosed with Hodgkin’s lymphoma twice in her twenties, she was then diagnosed in 2011/2012 with breast cancer. Yes, we know it sounds a bit weird but we also think it sounds like lots of fun so read on and visit her website for more information! There’s something about one year ending and a new year beginning that I find unsettling. It’s often a time for self-reflection which brings a myriad of emotions, ranging from the optimism and excitement of new opportunities, to a longing to simply curl up under the duvet and hide from the world. Since I was first diagnosed with cancer over 20 years ago, I’ve often had an urgency to really ‘live’ life though I’ve found that this is a double-edged sword. On the one hand, it contributes to the fact that I can look back on 2014 and feel incredibly proud at achieving what I describe as my crazy scary challenge: cycling from Edinburgh to London in five days for charity. For someone who often feels like a cancer factory, this accomplishment helped me to regain strength both mentally and physically. The absolute focus on following my heart and in achieving something that once seemed out of reach was invigorating. The flip side is that this urgency sometimes completely and utterly overwhelms me – the need to make the new year count, the need to make every month, every week, every day, every second count. It can be exhausting and my New Year self-reflections could easily spiral into the January blues. However, as I lie snuggled up nursing my inevitable winter cold, I have decided instead that I will laugh in the face of the January blues using Laughtercise. What is Laughtercise I hear you ask? Laughtercise is based on the principles of laughter yoga, which combines laughter with deep breathing. When my good friend Stephanie Hill from Grin and Tonic heard about my third diagnosis of cancer, she felt powerless and wanted to find some way to help me and my family, so she engaged us in using laughter as an exercise (as opposed to laughing at comedy or jokes). With simple, fun exercises and some deep breathing your serotonin (the happy hormone) increases, the laughter becomes contagious. You feel more relaxed, less stressed, more energised. Like many, I found it a bit barmy at first and I could have easily discarded it as “I’m way too reserved for that kind of thing”. But by simply letting go a little and using techniques to anchor it into daily life, it was brilliant. For most of my adult life, I’ve been dancing the tango with cancer: twice with Hodgkin’s lymphoma in the 1990s and then breast cancer in 2011/12. 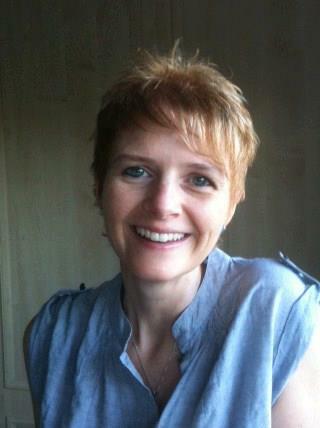 I was devastated to have cancer for a third time, and it hit me much harder emotionally. I don’t know if it was the optimism of youth that carried me through the first two, or the cumulative effect of ‘here we go again’. Perhaps there was even an element of the unfairness of the breast cancer being caused by the radiotherapy I received for the Hodgkin’s. One way or another, I experienced an overwhelming sense of emotion. I found myself crying for no real reason, I couldn’t sleep and I’d often wake up with tears streaming down my face. I found it really difficult to articulate what was going on. Mortality had smacked me in face again and at least some part of me felt smashed, whether that was my sense of myself and who I was, my loss of innocence, my view on time, my view on what next. I never thought that Laughtercise would become such a useful tool, but it did, and continues to be so. It has helped me to feel more in control of my life at a point when it seemed like cancer had taken over everything and every thought. Physically, the act of laughing and the deep breathing also helped to release some of the tightness I felt in my chest following reconstruction for my bi-lateral mastectomy. It also helped me connect with my family and friends in a really meaningful way. When you’re dealing with cancer, people don’t know if they are allowed to laugh around you. It was easy for me to give ‘permission’ for them to laugh with me, and although it started as an exercise, it was contagious and incredibly powerful, helping them to relax and deal with my illness too. I know it all sounds a bit mad, but honestly you have to try it! I am passionate about bringing more laughter into the lives of as many people as possible, and together Steph and I have created a DVD called “Dealing with Cancer? Laughter Works”. January can be a tough time for many people, cancer or not. Whether you’re happy, sad, or just need a little pick me up, I’d encourage you to get out of bed, grab the next person you see, or simply look in the mirror and give it a good Ho Ho Ho. It’s infectious! In addition to being a freelancer writer and running her own Customer Experience Consultancy, Mandy is now proud to be a Director of Laughter at Grin and Tonic.